Places where you are able to buy or sell items you need. Places you can contract Demons and finish certain missions. Places where you can enter to gain XP or mission purpose. Note: These are the only areas in game where a player is instanced into an area. This means it is only a temporary place and there can be multiple instances at once. Special places for PvP purposes. 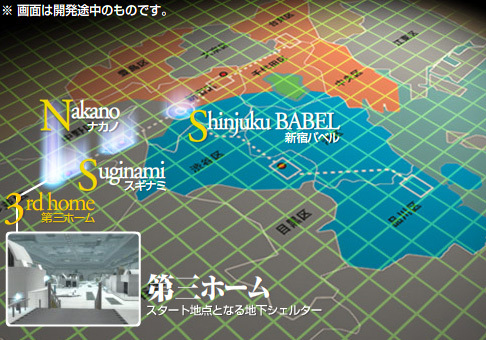 In order to get Map data for Shinagawa and Ueno you must speak with the Messian and Gaian Priest in Shinjuku Babel. This page was last modified on 18 June 2018, at 10:21.